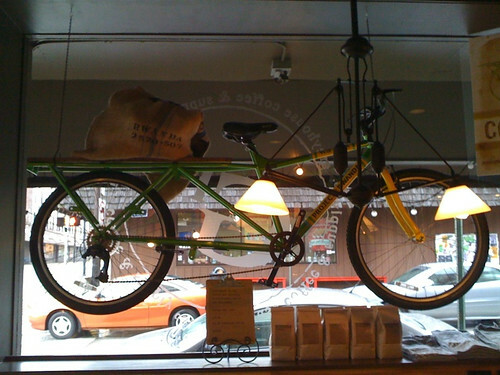 My local coffee shop is raising funds to provide cargo bikes to Rwandan coffee farmers. Apparently, coffee is the major small farm crop in the country. I wonder if they will auction the bike at some point. Could be a nice ride in town. Hey, it's good to see a post from you! Does this mean you're "back?" Hope all is well in Lafayette … we are back in Bloomington now; let me know if you get down this way for some reason, and want to ride! I'm a new reader to your blog, but have loved the few articles that I've read here today. Good stuff!